Want to legally watch the Utah Jazz online without cable? Learn all your legal options in this comprehensive Utah Jazz live stream guide! Solid option for the in-market fan with sound service and plenty of channels but a significant price hike after year one. Best for out-of-market fans, providing a focused coverage of the Jazz games. Data effective 9/28/2018. Offers and availability may vary by location and are subject to change. After snagging the #5 seed in the 2018 NBA playoffs and winning several individual awards, the Utah Jazz definitely left us with something to talk about last season. Now, the 2018–19 season is upon us, and with the addition of Grayson Allen, it’s sure to be an exciting one. If you’re determined to catch all the action, you’ve come to the right spot. We’ve scoured the web for the best ways to watch the Jazz, so you can be ready for the 2018-19 season. Your ticket to the Utah Jazz is AT&T’s SportsNet’s Rocky Mountain Network. But there is a catch: the channel is only available in certain areas. Before you read on, check your location against the region map to see whether you’re in market or out of market. If you’re in market, then DISH and DIRECTV are both strong contenders. If you’re out of network, don’t close the tab. We think you’ll be very interested in what’s behind door number 3 (hint: it’s the NBA Team Pass). Now that you’ve found yourself on the map, it’s time to get down to the nitty gritty. Luckily, we’ve got you covered. From channel selection to DVRs, we scouted out the pros and cons of each service so you can pick the best choice for you. DISH offers a reliable, nationwide service with access to the AT&T SportsNet you want. What really pulls it into first place, though, is all that’s included in the price. Look at package options. For the in-market fan, DISH’s biggest draw is its transparent pricing. While DIRECTV looks cheaper at first glance, DISH saves you money over the course of your contract by locking in your monthly price. There are no heart-stopping, unexpected bills here. Your $69.99 monthly fee also isn’t complicated with extra regional sports fees, since DISH doesn’t charge you for it. But you still get access to the AT&T SportsNet you need to see every Jazz game. Also included in that price is access to over 190 channels, including some of your favorites like ESPN and ABC. Those channels definitely come in handy during nationally covered games like the Finals or to keep tabs on future NBA players still in college. If you’re the kind of fan who can’t always be on the couch right at game time, DISH’s DVR is made for you. While DISH’s included DVR is pretty decent, it’s the add-on Hopper 3 that’s stolen our hearts. For an additional $5 a month, you can record 500 hours of HD TV with 16 simultaneous streams. That’ll come in handy during playoffs when multiple games air at the same time. So all in all, we admit the price is hefty, but the package is pretty inclusive. If you’re living close to Jazzland, DISH is a solid choice.  DIRECTV is pretty similar to DISH, with a reliable network and access to the Jazz. But be prepared: it does include a pretty big price hike year two. Look at package options. If you’re living in market, the DIRECTV CHOICE plan, like DISH, will get you the access to the Jazz and 185 other channels that you crave, but it comes at a cost. Your starting monthly price is only $45, but the year two price jumps—significantly. In fact, you’ll end up paying more than double. Another bonus DIRECTV’s got going for it is access to the AT&T SportsNet app. With that, you can stream the game from your phone on the go. While DIRECTV’s DVR is nothing to write home about, it’s enough for the average user. The Genie DVR is included in your monthly service and can record up to 200 hours of HD TV—that’s over 60 recorded games. It’s not quite all 82, but still impressive. The NBA Team Pass is the bare-bones, focused way to see the Jazz play. This NBA service offers you access to one team’s games—both home and away. Look at package options. At only $119 a year (you save $100 paying annually), NBA Team Pass is a pretty good deal. But hands down, the best thing going for the NBA Team Pass is it’s access. With this service, otherwise Jazz-less areas of the nation can now keep up with the team. As of right now, it’s one of the only ways to catch the majority of Jazz games—whether they’re home or away—when you’re out of market. Be warned that if for some reason you find yourself in market, you’ll be subject to blackouts. That’s one reason this service is lower on our list. 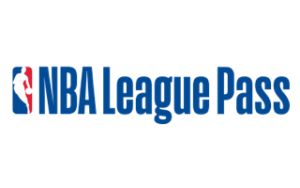 If you’re unsure, you can try out the NBA League Pass (more on that later) for free the week of Oct 16–23, 2018. Simply log in or create an NBA account during the week and you’ll get an all-access pass, including four Jazz games, for free. The drawback of NBA Team Pass is the same of as its benefit: you get the Jazz and only the Jazz. Most of us, even die hard Jazz fans, like to dabble in other TV shows occasionally. That means you’ll have to pay for another TV service in addition to the NBA Team Pass if you want to watch anything else. So that’s a definitely a downside. Also, the Team Pass doesn’t cover nationally broadcasted games, so you’ll have to find another way to view the conference playoffs and the Finals. But, if the NBA is your life, you might consider upping the ante with the NBA League Pass. For just under $200 a year, you score access to all out-of-market NBA games. You do miss out on local games, but you can see the replays later. The package also boasts access to the greatest NBA moments. So if you love watching Stockton to Malone over and over again, the extra $100 is probably worth it. We know the Jazz will be ready come their season opener against the Kings October 17, but the real question is, will you? Pick from one of the services we’ve laid out and you’ll be guaranteed ready to cheer on the Jazz from wherever you live. Go Jazz! If you have questions or comments on how to watch Utah Jazz Basketball 2018, feel free to leave a comment below or send us an email.